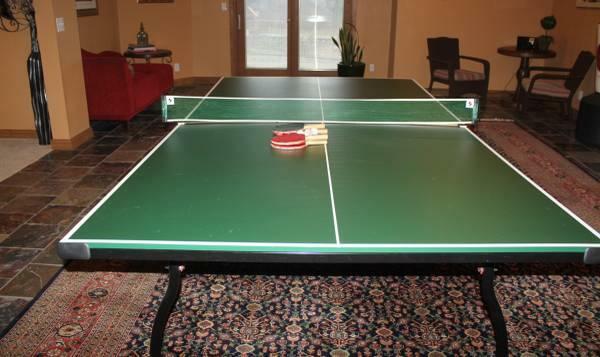 Rent a Ping Pong Table in the Chicago area. We rent commercial-grade Ping Pong tables. Just like the ones you see at arcades. Two to four people can play at one time. Your guests will love playing Ping Pong on our professional-quality Ping Pong tables. ADULT SUPERVISION IS REQUIRED AT ALL TIMES!